Set of 2 x 4300K White LED Spider Light Bulbs. 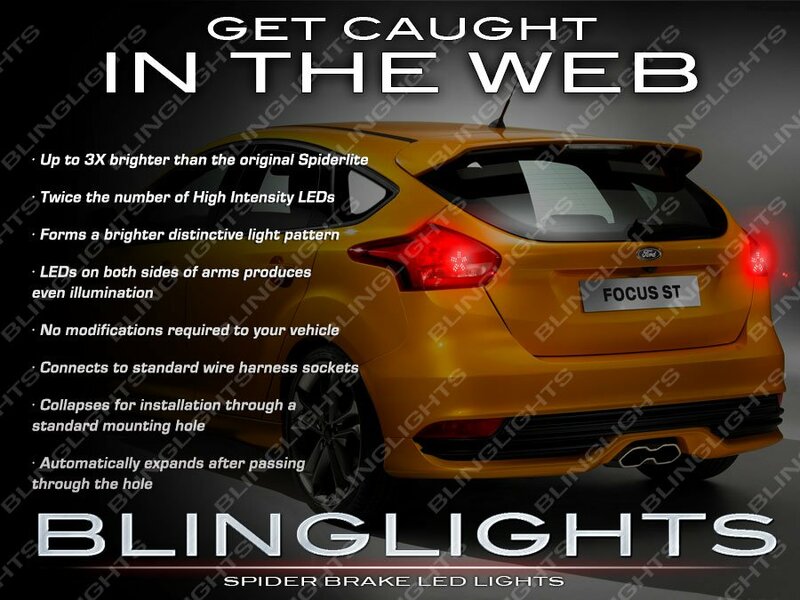 The BlingLights Spider Brake LED Lights is now up to 3X brighter than the original and features spring loaded collapsible arms for installation through a mounting hole in the lighting module. Light Emitting Diodes (LEDs) are mounted on both sides of the arms to provide an even illumination. Take the BlingLights Challenge® and try any BlingLights product no-risk. Then Decide. If you don't love it, you don't keep it.® No obligation. Simply send it back, no questions asked - you keep the free gift. What is the BlingLights No Fault Guarantee? BlingLights will repair, or at our option, replace this product for up to 5 years from time of purchase. The NO FAULT provision of this warranty means that regardless of how the item may have been damaged or rendered unusable (fully or partially) by the Owner of the item, BlingLights will repair or replace the item without any questions being asked. To take advantage of this provision, enclose a money order for $25.00 (U.S. dollars) with the item to cover inspection, handling, and shipping. What is the return policy? You are entitled to a full refund less shipping costs if item is mailed back within 60 days of receiving item. Item must be in the EXACT brand new condition it was received along with the order number and reason for return. Keep the free gift just for trying our product even if you decide to return. Please give us the opportunity to help before deciding to return. The lights are great and I use them almost every night. I am going to order another set as a backup for the future. Thanks again.